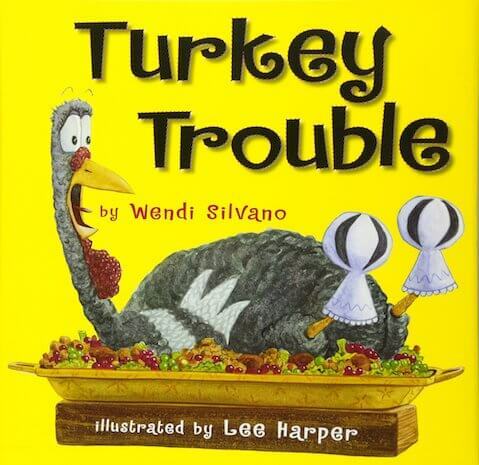 Get everyone into the holiday spirit with these fun Thanksgiving activities for kids. Includes crafts, decorations, gratitude activities and loads of free printables. Thanksgiving is coming, so that means one thing. It’s time for fun and festive Thanksgiving Activities! WOO! 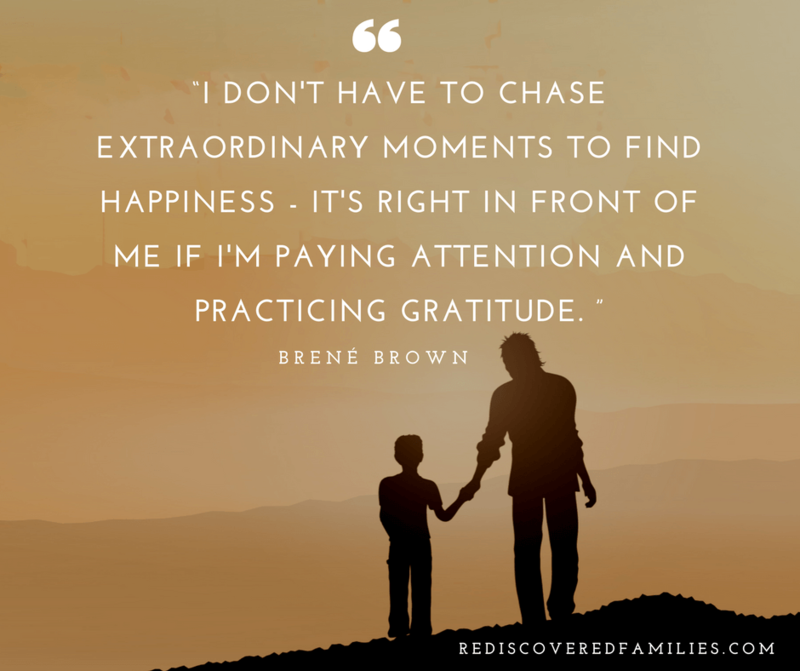 When my boys were small I loved to celebrate holidays with some Thanksgiving activities. Some years we kept it really simple and just went for a walk to gather leaves and berries for the table. Sometimes I got a little more ambitious and prepared some crafts. I found that it didn’t really matter what we did together. All of these activities created memories that stick. And that’s what it’s all about right? To save you some time I’ve made the ultimate list of fun ideas that includes activities for every age. 1. The whole family can work to create a colorful garland of thanks. 2. I love this tree of thanks and it doubles as a great decoration. Gobble gobble. What would Thanksgiving be without turkey? 5. Bring out the paper bags and a few craft supplies and make a paper bag turkey. 6. These Turkey treat bags are adorable. 7. Show your kids how to draw a turkey with these simple instructions. 9. 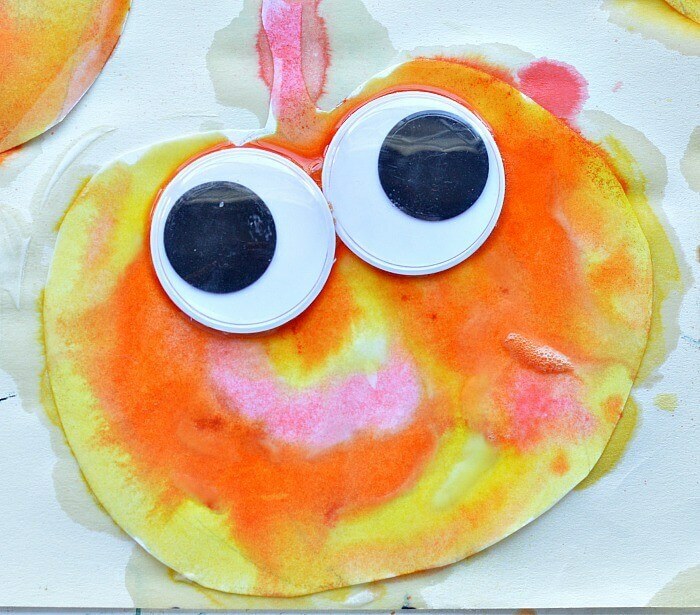 Science and art combine in these Pumpkin fizzy art project. 11. Create pumpkins with fist prints. This one is really easy. 12. Check out this impressive and yet surprisingly easy pumpkin decoration. 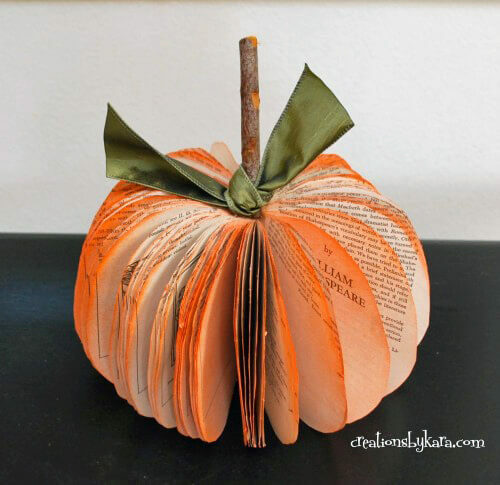 It is made from an upcycled book. Older kids might enjoy making these. 13. Let your little ones help set the table and make festive napkin rings with beads and wire. 15. 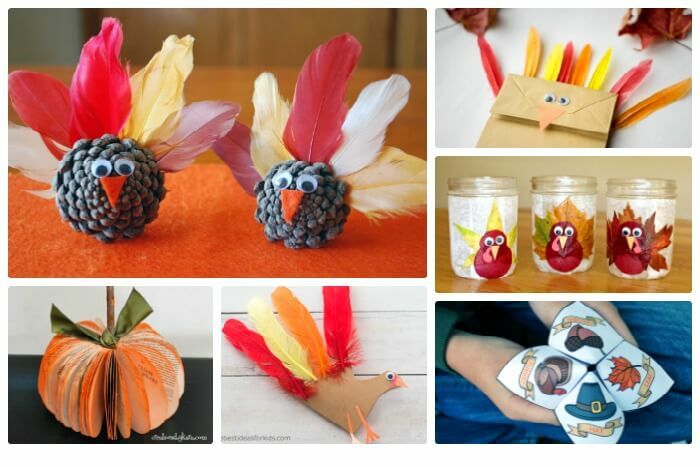 How cute are these turkey leaf lanterns from Rhythms of Play? 16. 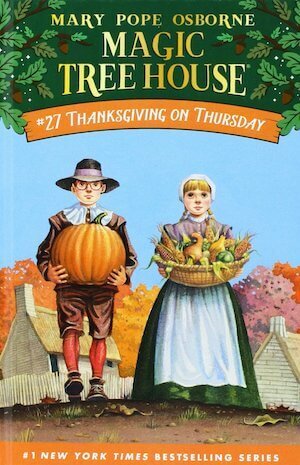 I really liked this nature collage thanksgiving banner. So creative! 17. Have your kids and guests create a Thanksgiving tablecloth memento. Free printables make things super easy. Just print them out and you are ready to go. 18. 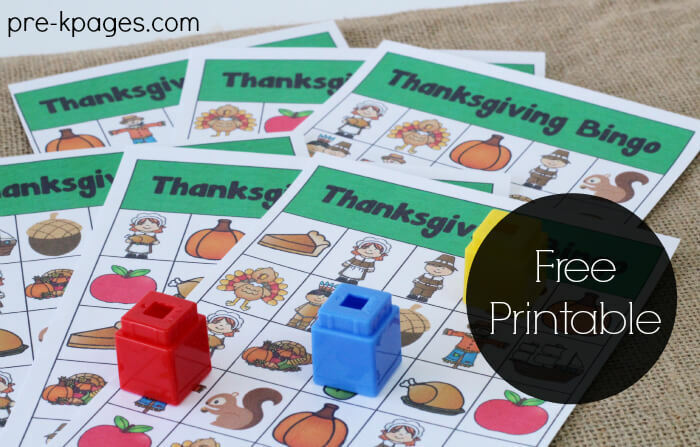 Kids will love this Printable Thanksgiving I Spy. You can search and find the items together or hand out the sheets to keep the kids amused while you make preparations. 19. Remember Cootie Catchers? This Thanksgiving Cootie Catcher will help your kids practice gratefulness! 20. There is also one with Thanksgiving jokes. As a bonus I’ve created some blank gratitude lists for you to download, and use. To Grab your free printable from the library click here. Download and print out the sheet. You could paste the lists into a journal if you want to keep an ongoing record. Here’s a sneak peak of the gratitude lists. Of course, you don’t have to save these Thanksgiving activities for families until the big day. Why not enjoy them in the weeks leading up to the big turkey dinner! What Thanksgiving traditions do you have in your family? 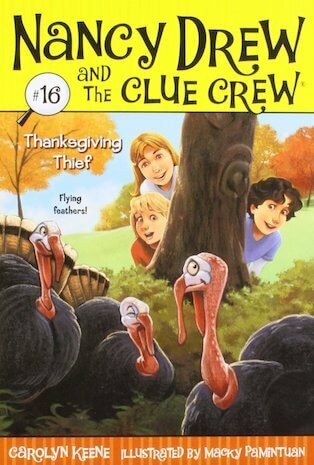 What is your favorite Thanksgiving activity? Please share in the comments below. I’m in Canada too! The idea of two Thanksgivings sounds just about right. It is my favorite holiday. What an awesome list! I will try some of these ideas with the kids. Hope they will love it.